Modern Bodhgaya is a small town located in the state of Bihar in the North of India. It was here some 2,500 years ago that Sidhartha Gautama sat in meditation beneath the Bodhi tree and gained Enlightenment. In so doing he became the Buddha - the 'Awakened One'. Today Buddhist pilgrims from East and West come to Bodhgaya to pay homage to the Buddha and his achievement, gaining inspiration and confidence from the unique atmosphere and significance of this special place. 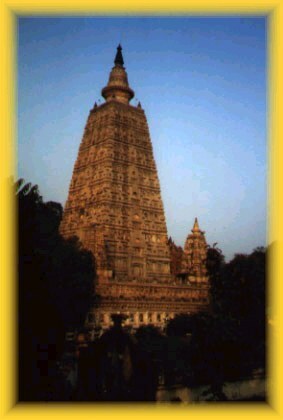 Bodhgaya is the most important place of pilgrimage for all Buddhist traditions. The most popular time for visitors is December and January. At this time the grounds of the Mahabodhi temple become a vibrant centre of devotional activity as practitioners from the diverse traditions of Buddhism express their faith and gratitude to the Buddha alongside each other. The town itself with its many temples representing most branches of the Buddhist tradition is a colourful and exotic collage of international Buddhism in the midst of the bustling life of a contemporary Indian town. For many Western tourists and backpackers who come to Bodhgaya while traveling more widely in India and the Himalayan region this is their first taste of Buddhism. Others return year after year to re-experience the atmosphere, attend retreats, and deepen their connection with the Dharma.